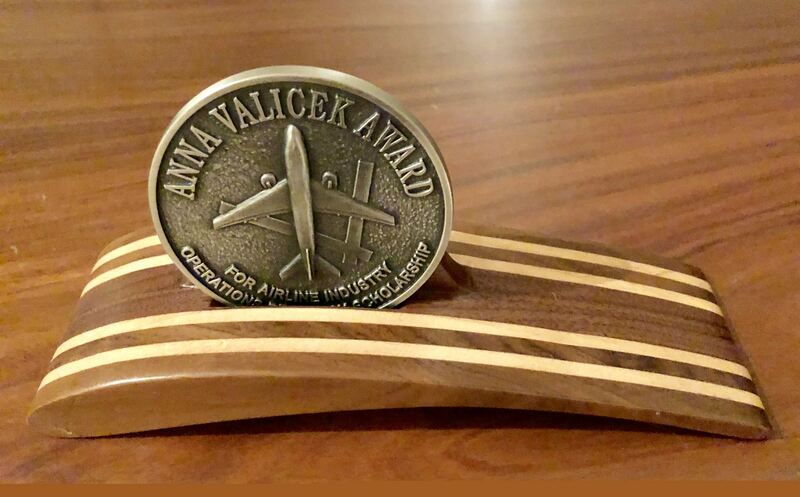 The Anna Valicek Medal recognizes original and innovative research in the application of operations research to airline and/or airline related business problems. This annual award is sponsored by the Airline Group of the International Federation of Operational Research Societies (AGIFORS) and honors the late Anna Valicek who served for many years as a member of the AGIFORS council. Applicants must be registered graduate students pursuing either a masters of science, masters of business administration, or doctoral degree with a research thesis in the area of operations research, engineering systems, air transportation or management science. Previously published work is acceptable, provided that the submitting author was a graduate student at the time the work was submitted for publication. The submitter will be asked to grant AGIFORS the right to publish the work on the AGIFORS website or secure such permission from the copyright holder. After the paper submission is closed, the award committee will select two papers as finalists for the Anna Valicek Medal. Both finalists are invited to present their work at the AGIFORS Symposium (air transportation, accommodations and symposium fees are sponsored). The AGIFORS Community, represented by the symposium attendants, will get opportunities to ask questions at the symposium. The AGIFORS Council will then select the winner who will receive the Silver Anna Valicek Medal and a US $2,500 award. The other finalist will receive the Bronze Anna Valicek Medal and a US $1,000 award. Refer to the "Current Competition" page for more details.